At the beginning of April, we asked for your help to find loving homes for 250 adoptable cats and kittens by the end of the month. Thanks to your support, we have exceeded our 2016 goal, with 334 cats and kittens now enjoying the last days of the month getting to know their new families. But, for every cat who has found a loving home to date, there has been a new marvellous moggie taking their place at the shelter. We would love to see these cats welcome in May with a new forever family. Can you help? 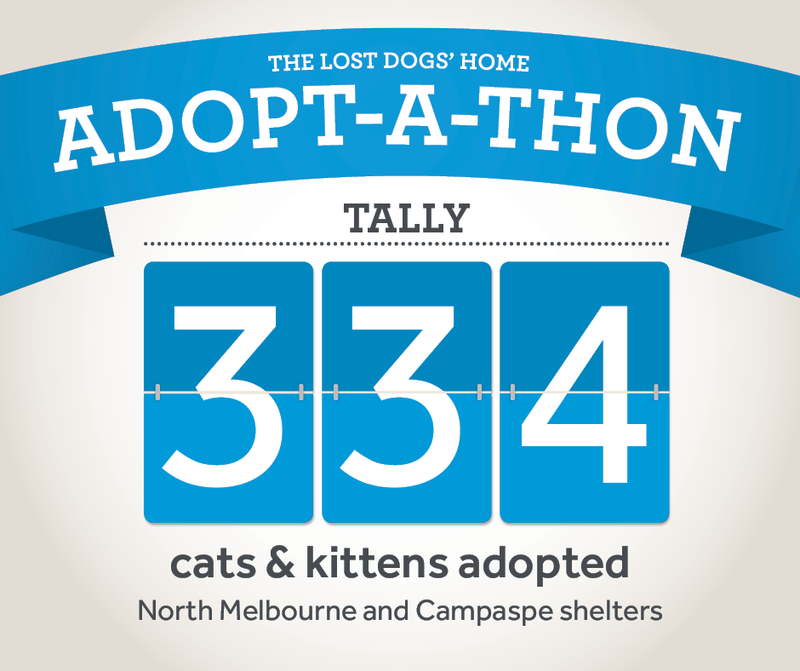 Until April 30 2016, that’s this Saturday, The Lost Dogs’ Home is waiving the adoption fees of all cats six months and older at our North Melbourne and Campaspe shelters. Kittens under six months have their adoption fees halved to $90. Each cat comes health checked, desexed, microchipped, vaccinated and wormed, all valued in excess of $300 per cat. Thanks to your support, we have surpassed our 2016 Adopt-A-Thon goal. We would love to see many more felines head off to their new homes before the month comes to a close. With your help, we are confident we will be able to reach our new goal of 350 cat and kitten adoptions by April 30.